Over the past decades, the poetry performance has developed into an increasingly popular, diverse, and complex art form. In theoretical and critical discourse, it is referred to as performance poetry, spoken word poetry, and polipoesía; some theorists argue that it is an independent poetic genre, others treat it as a contemporary manifestation of oral poetry or of the poetry recital. The essays collected in this volume take up the challenge that the poetry performance poses to literary theory. Coming from a variety of disciplines including Literary Studies, Theatre Studies and Area Studies, contributors develop new approaches and analytical categories for the poetry performance. They draw on case studies from a variety of contexts and in several languages, including Brazilian Portuguese, Dutch, Catalan, English, French, Galician and Spanish. Essays are organized in three sections, which focus on critical and theoretical approaches to the poetry performance, on the mediatic hybridity of this art form, and on the ways in which the poetry performance negotiates locatedness through engagements with space and place. 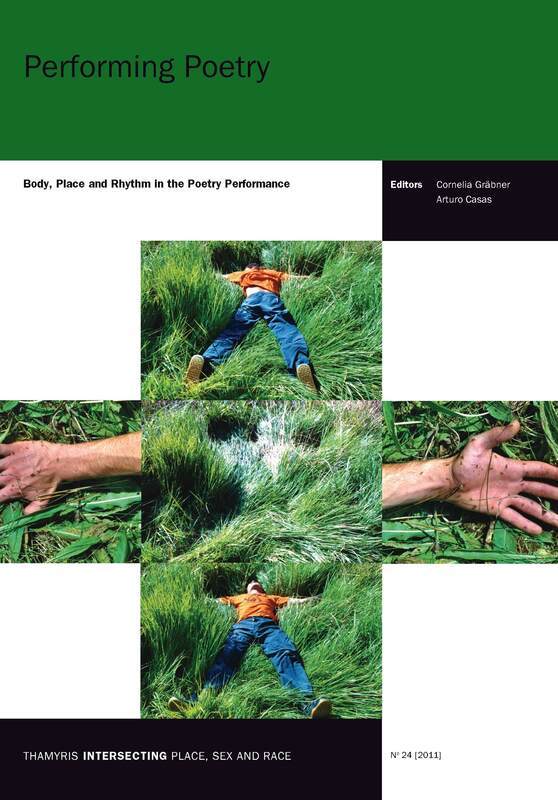 The structure of the volume intersperses essays on theory and analysis with self-reflexive essays from performance poets on their own performance practice. This entry was posted on Xullo 16, 2011 ás 10:44 am	and is filed under escritura e plástica, espazo público, experimental, oralidade, performance, poesía non-lírica, publicacións, redes, Uncategorized. You can follow any responses to this entry through the RSS 2.0 feed. You can leave a response, ou trackback from your own site.